Do you have one of below questions? How do I access ModelMap in a JSP? My ModelMap is not passing beans to JSP. How can I pass multiple values from Spring Controller to JSP? in JSP how to get multiple values from Spring MVC Controller? Here is a simple working solution for all of above questions. Please go through above example which has all detailed steps on how to setup your 1st Hello World Spring MVC example..
Once you are done with that we will modify below two files to see how ModelMap works. Here is a code we need to change for this example. 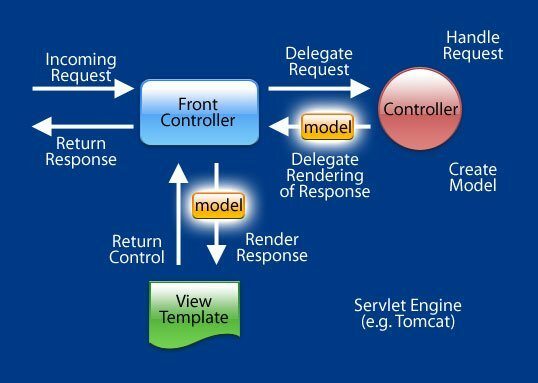 And you are all set..
Redeploy project CrunchifySpringMVCTutorial on Tomcat Server again. addAttribute can be called with just a value, and the map key is then inferred from the type. The generic type of ModelMap is fixed at Map<String, Object>, which is the only one that makes sense for a view model. So nothing earth-shattering, but enough to make it a bit nicer than a raw Map. Spring will let you use either one. You can also use the Model interface, which provides nothing other than the addAttributemethods, and is implemented by the ExtendedModelMap class which itself adds further conveniences.